It has been hot, hot, HOT! If you thought that the British spoke about the weather a lot, then throw us a heatwave and see what we have to say! We have just returned from a week in Bulgaria and whilst it was hot, there was a sea breeze, air conditioning, and everyone seems prepared for the heat. We come back to the UK and the city is sweltering, our home is without air conditioning and everyone is in a frenzy because the thermometers are rising and apparently we are one step away from a national emergency. And breeeeeeathe! 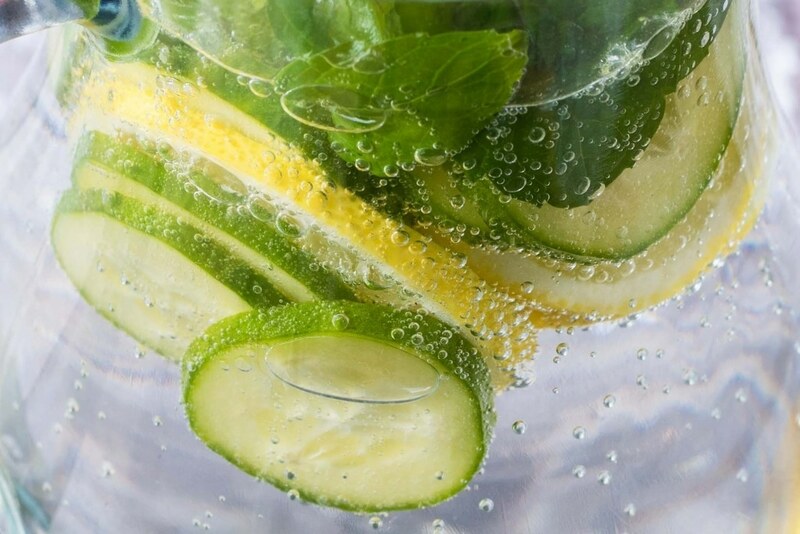 It’s time to cool down and make yourself a big jug of this Cucumber, Mint and Lemon Fizz. 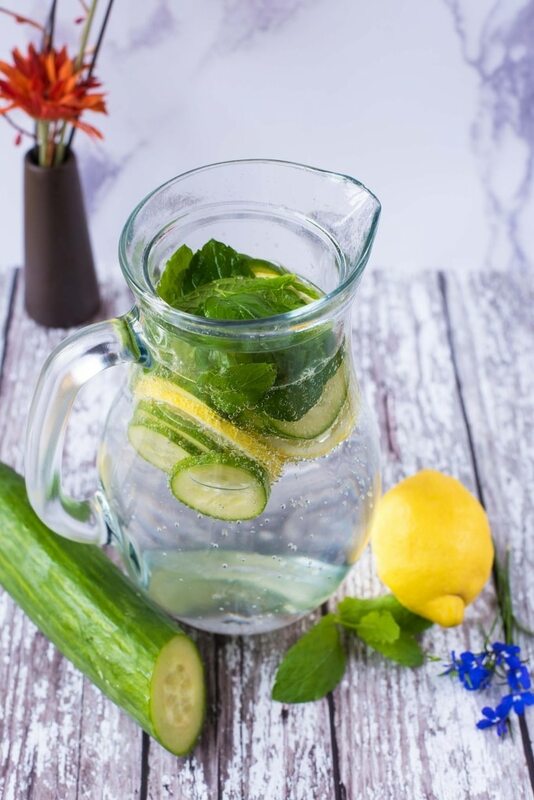 Do you want to be kept up to date on more delicious recipes like this Cucumber, Mint and Lemon Fizz? Please subscribe to the blog mailing list (it takes 30 seconds). You will get sent the new recipes straight to your inbox. Your email address won’t be passed on to anyone and you will never be spammed. We complain all year about the bad weather and then when we do get some “good” weather (who said hot was good anyway? ), we complain about that too! Well, give me a shady spot any day of the week, because I am not a sun worshiper. Don’t get me wrong, I appreciate having weather good enough to enjoy a BBQ or picnic, but once it gets too hot to sleep, that’s it! I have reached my tolerance level. Haha, I sound like a right moany Brit! 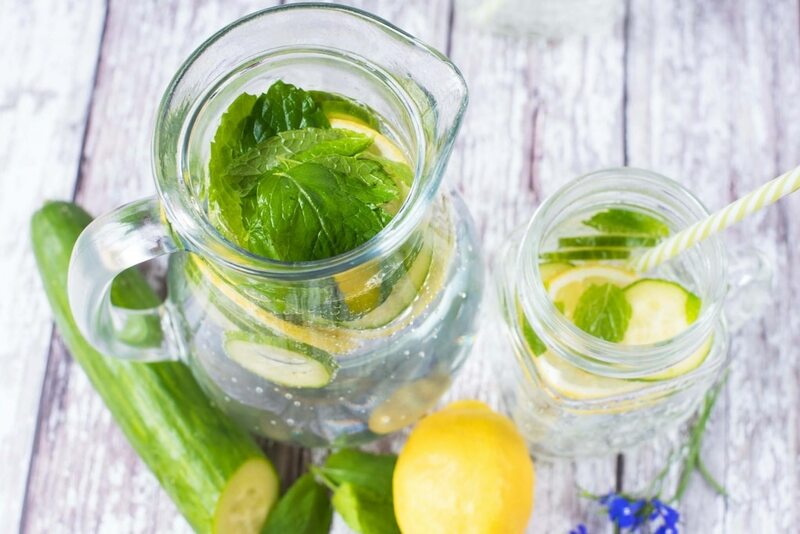 What I DO love about this weather is all the refreshing drinks that we get to cool down with, and nothing says refreshing more than cucumber and mint. 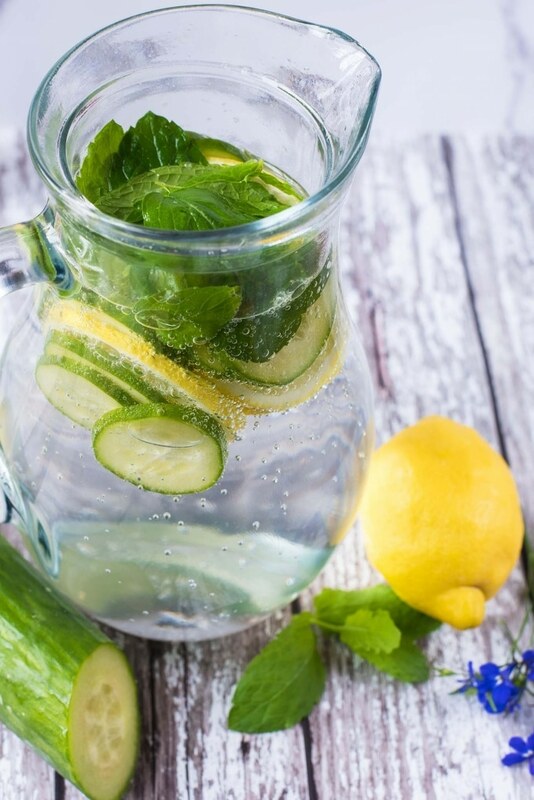 Usually I enjoy a cucumber and mint combination in some tzatziki, but they pair beautifully in water too and it’s the only way to stay hydrated in this weather. The inspiration for this recipe come from a cucumber and elderflower drink that I saw in Food To Love magazine, whilst I was flicking though it on my Readly app? Not heard of Readly before? Well, it’s an entire newsstand on your tablet or smartphone. Readly is the ultimate magazine subscription with the best magazines from around the world. 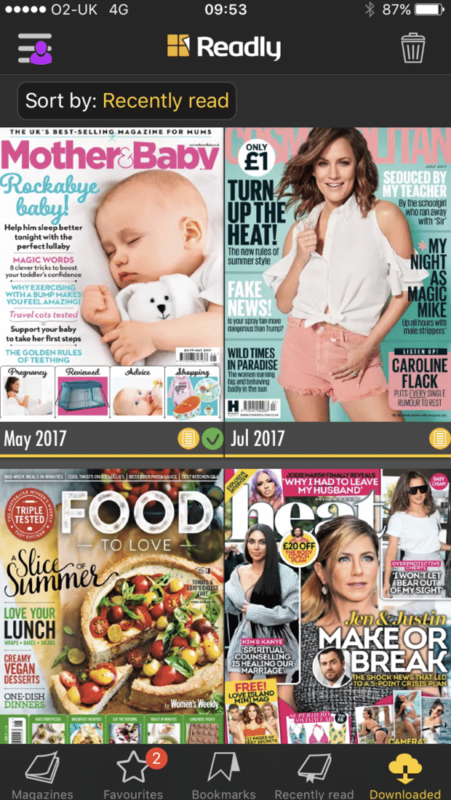 A subscription to Readly gives you unlimited access to more than 1,800 titles in just one app, you can download magazines for offline reading without an internet connection and share with family on up to 5 devices. After a 14 day free trial, subscription is only £7.99 per month. For that, you get unlimited access to all the magazines on Readly. Both new issues and back issues. You can read to your heart’s content as long as you have a subscription. There really is something for everyone on Readly. Home and Garden, News, Music, Arts, Technology, Science, Sport and Comics to name just a few of the many genres available. It is perfect for Dave and I as we both have very different tastes in reading. I find it great for finding recipe inspiration, parenting advice and catching up with celebrity gossip whereas Dave loves his heavy metal, gaming and tattoo mags. And speaking of magazines… Did you see my exciting news that I am now a contributor to Now Magazine? 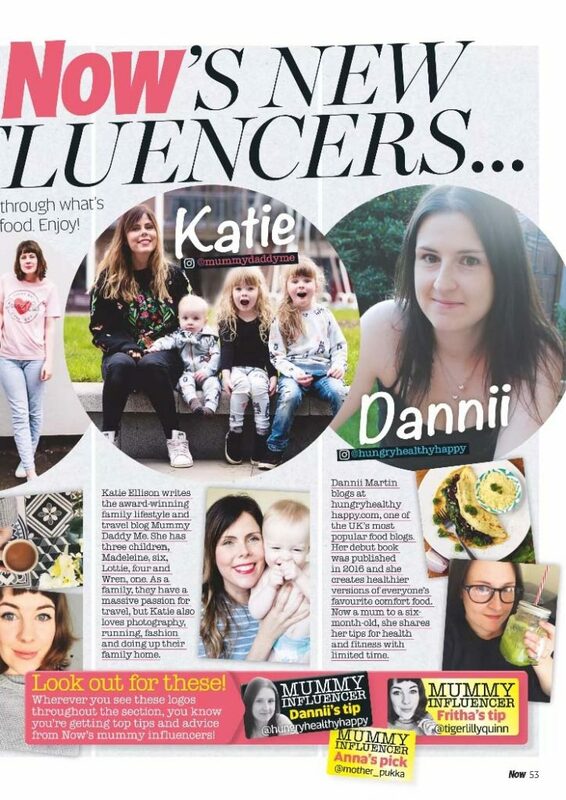 I am one of their “Mummy Influencers” and I will be sharing all my favourite fashion, beauty and food related things each week. As soon as the issue went on sale, I went straight on to Readly to take a look. I was able to screenshot one of the pages I was featured on and share it across social media, without having to take an awkward photo of the magazine itself. As I was flicking through Food To Love on Readly, I noticed that they had a feature on cucumber, as we are in cucumber season. I never knew that there were so many different types. We were really successful with growing cucumbers last year and it was great to add different ones to our salads, because it’s hard to get any different types of cucumber in the supermarkets. If you can find them, try picking up some of these and using them in your meals – there are so many other ways that you can eat a cucumber rather than just in a salad. The cucumber drink in the magazine actually had vodka in it, but I wanted to make a non-alcoholic drink that would be great to serve at a party. That’s where this Cucumber, Mint and Lemon Fizz comes in. Don’t you hate it when you go to a party and you aren’t drinking and the only thing on offer is tap water or maybe some cola? Why not show that non-alcoholic drinks can be fun too! We also wanted to show that drinking water doesn’t have to be boring. There are so many different ways to liven it up. 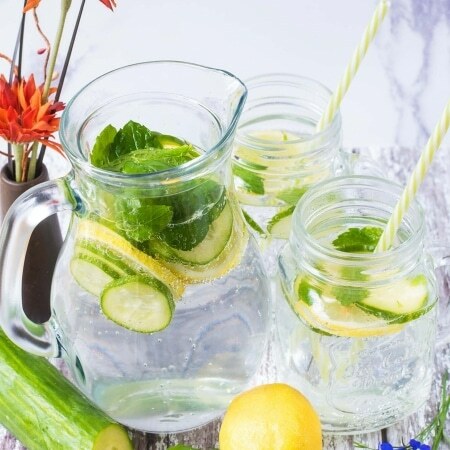 This refreshing Cucumber, Mint and Lemon Fizz will cool you down and keep you hydrated, without having to reach for sugary drinks. It's easy to whip up a big batch of it and it will look super impressive on the table at your next BBQ. Put all the ingredients into a large jug, chill and serve. That drink looks refreshing. It will definitely cool you down on a hot day! That looks so refreshing, I am definitely going to try it. Gorgeous photos too. Well done on your new column and I agree Readly is fab. This is indeed a refreshing and delicious drink that is perfect for the hot weather. I love the sound of Readly! It makes me sick to think of all the waste from the magazines that don’t get recycled. Congrats on the magazine feature too – well deserved. I really need help to drink more water. I just find it so boring, but I know I need to drink more. This will help I think. This looks so refreshing and perfect for summer. I could see myself on the patio with this. 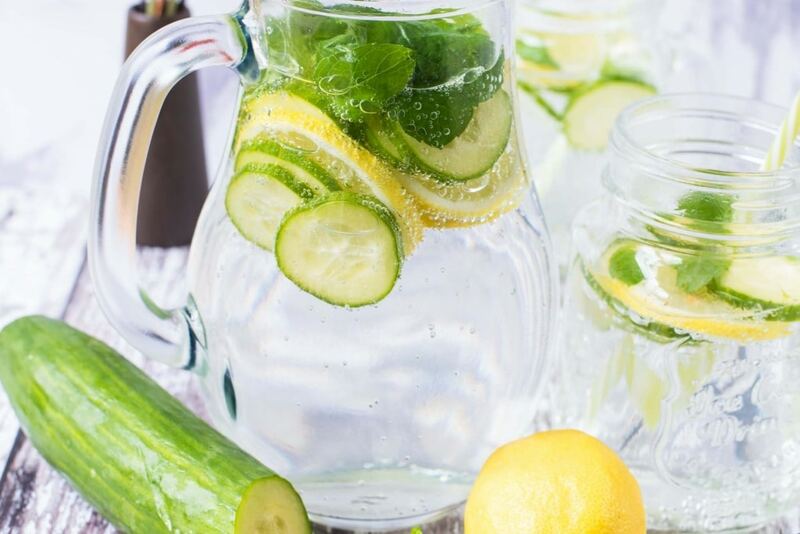 Recipes like this help me drink more water! So refreshing and so good! What a neat app. It sounds super convenient, especially if you’re traveling! And this fizz looks so good. We’re having a heat wave here in Southern California too, so I could definitely go for some of this right about now! Wow this is an awesome combination I must try. 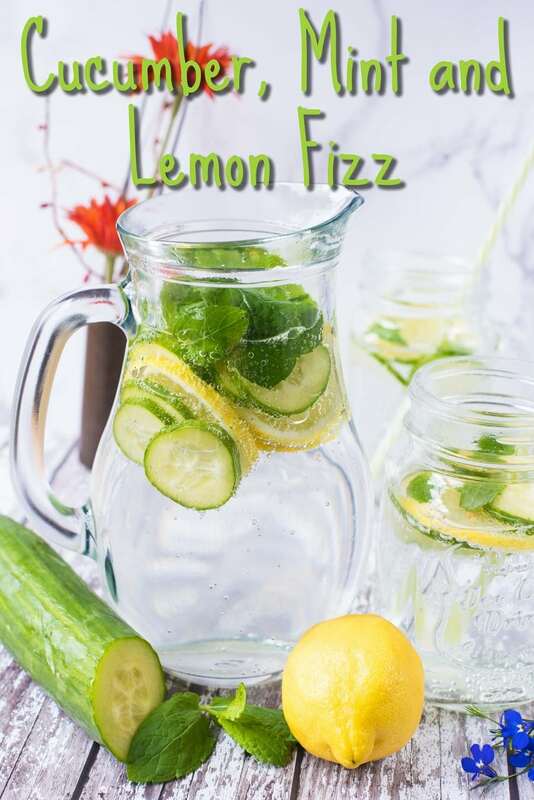 I am such a sucker for cucumber flavoured anything – there is something about the intense refreshing nature of cucumber that would be delicious in this fizz!